Personalize it! 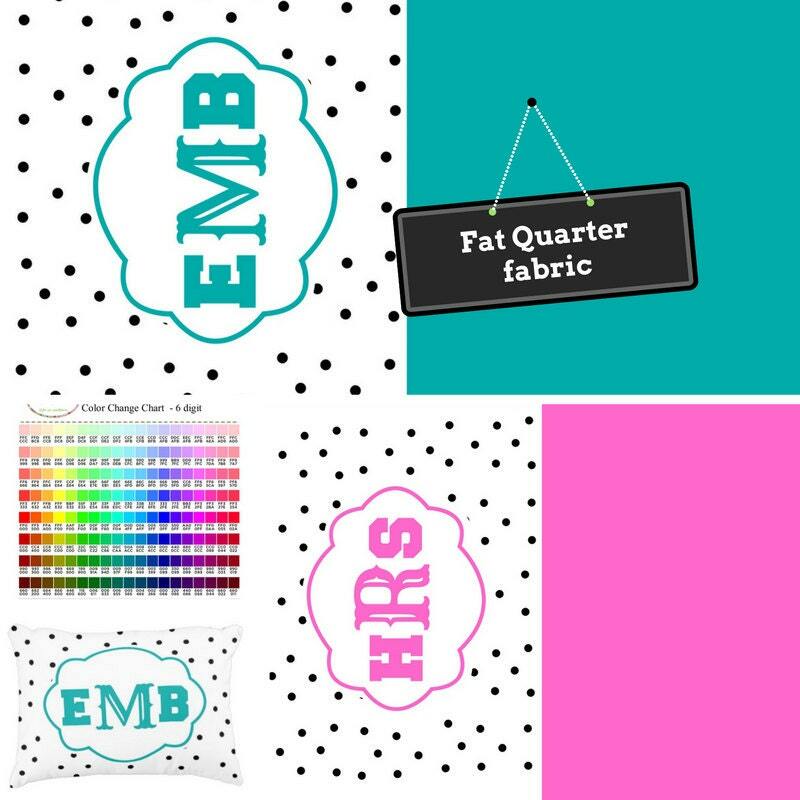 Create an irresistible DIY pillow sham with this custom monogram fat quarter fabric! Trendy black & white polka dots and colorful solid shades make for a fresh & modern fabric combo that's preppy & shabby chic all rolled into one! 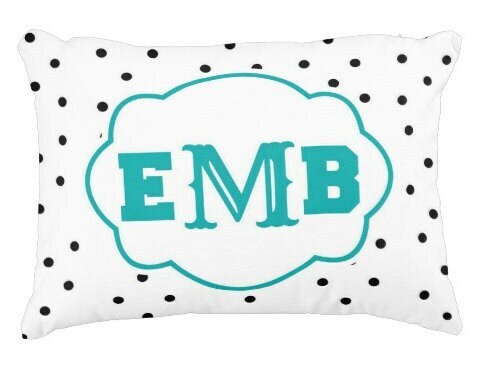 Perfectly sized to fit 1 fat quarter to make a 12x16 pillow sham - use polka dot monogram as front and solid color as back of pillow sham to craft the perfect gift. Many textiles to choose from ... from Linen to fleece to organic cotton . LET ME KNOW AT CHECKOUT in notes to seller which you prefer!!!! This item will be made especially for you. This is NOT embroidery. The personalized design will be incorporated within the fabric itself so it's super soft against your skin. 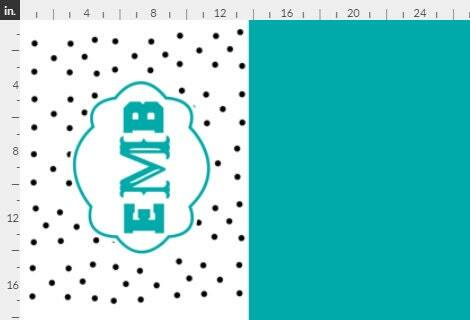 EXAMPLE of 3 initials: EMB where E is first name M is last name and B is middle initial - this is EXACTLY how it will appear on the design! If you wish to have NAME or Single initial in any of the designs, no problem! email me with info. 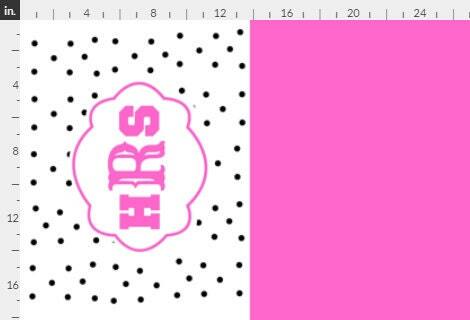 TURNAROUND TIME: because this is a custom order, the design will be created at the time of your order. Ships to you within 8 - 12 days of order. No returns on custom orders. 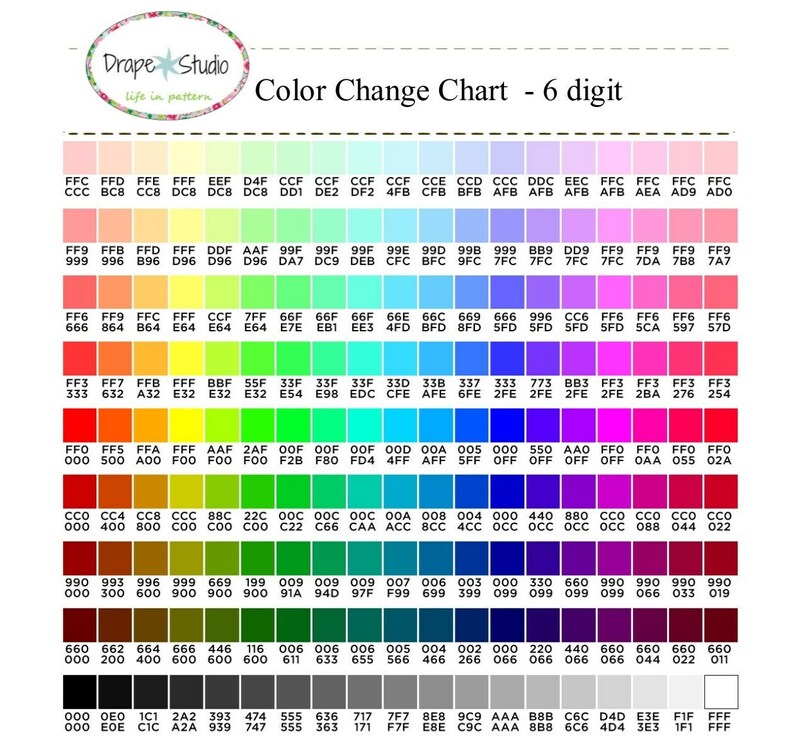 All fabrics printed in the USA using eco friendly inks.